In autumn 2014, as Assouline celebrated its 20-year anniversary, the luxury culture and lifestyle brand opened the doors of Maison Assouline, its first international flagship store. Originally a banking hall designed by Sir Edwin Lutyens in 1922, the Grade II–listed building was one of the most iconic locations in the capital and is now a heaven for every bibliophile with a taste for the finest things in life. 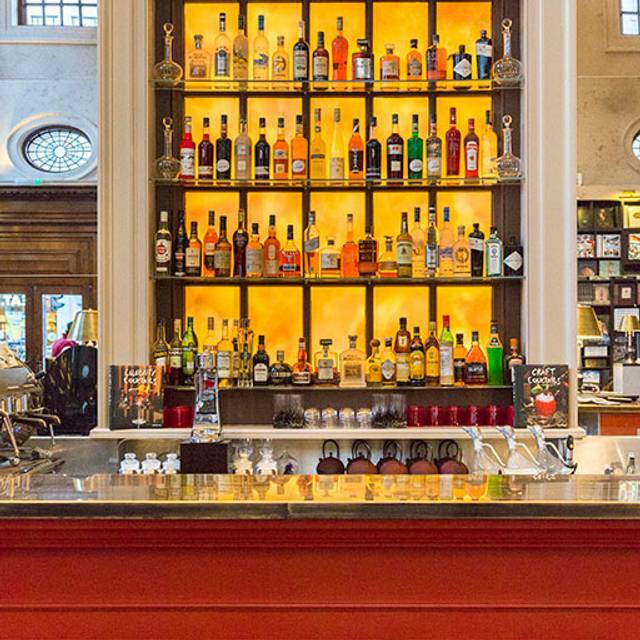 Swans Bar at Maison Assouline offers an exquisite selection of French platters, artisanal teas, wine, champagne and cocktails. Bringing energy‏ and a good mood to face all challenges. Blend of green maté, green tea, cinnamon, hibiscus flower, ginger, lemon peel. Tomorrow i take care of myself.” green tea, blackcurrant leaves, meadow sweet, grape leaves, elderflower, peppermint, fennel. Honey notes in harmony with fruity notes of lychee, grapefruit peach and a hint of rose. Notes of citron with a slight bitterness, giving a long-lasting experience. A union of ceylon, darjeeling, and assam teas. A subtle marriage of delicate silver tips, flower petals, and bergamot essential oil from calabria. Open Table bookings do not work with this venue. We had not appeared on their system despite the booking. This is the second time this has happened with this bar using an open table booking. You are better off ringing the venue direct accordingly they shoved us on a small table upstairs in the gallery. Fabulous friendly bar staff. 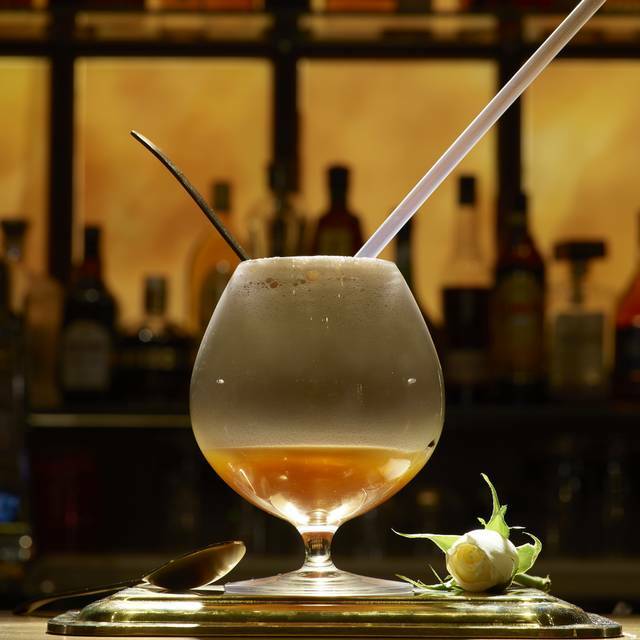 Great bar tender tailoring cocktails to one's tastes. Exceptionally good background music and ambience. 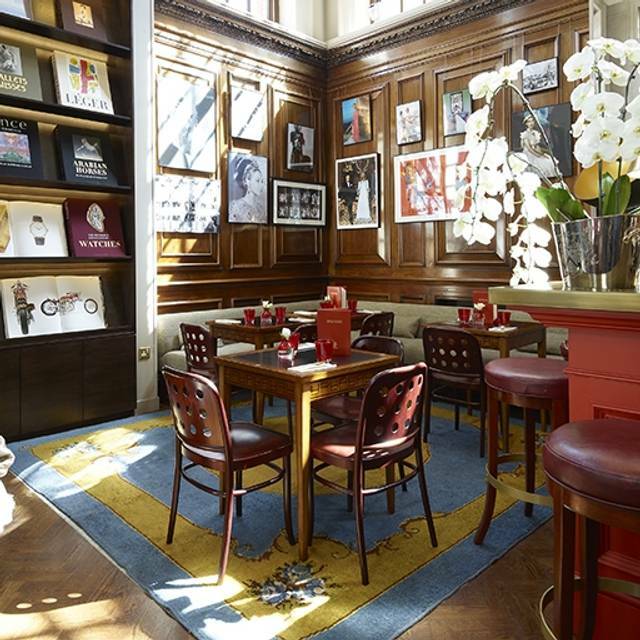 Swans Bar at Maison Assouline, I met two friends for lunch. The venue is owned by a publishing company and the building is used to display their publications. Book publishing is on display at Maison Assouline, their international flagship store housed in an old banking hall designed by Sir Edward Lutyens in London’s Piccadilly area. Service was impeccable. Lovely venue. A bit pricey. More a small snack type menu rather than a full lunch menu. Would definitely revisit for afternoon tea or early evening drinks. We were sat down, then asked to move because they had a bigger party coming and needed to lay up. The table we were given was VERY rickety and needed repairing. We therefore asked to be moved again which were duly were about 10 minutes later. To the credit of the establishment they gave us a delicious complimentary desert. However, the service was not up to scratch for a brand that prides itself on quality and charges top dollar. I will go back because the ambiance is good, but hope this feedback helps them up their service. Maison Assouline is a treat - a gorgous bookstore filled with large coffee-table books with lovely waiters on hand to serve fancy cocktails and delicious nibbles. It's a pit pricey but ok for a nice change. Portions were generous though pricing on the menu was a bit odd. Good for taking a break after or before visiting Fortums or the Royal Academy. Such a beautiful bar a calm place of refuge from the bustle of tourists. £17 per cocktail. Need I say more? The menu only contained cocktails at 5:30pm and they did not come with any nibbles. Service was surly. It therefore cost over £37 for 2 small cocktails once the service charge was added. I will not return. Service was very slow - 55 minutes for a salad and a plate of ham is too long. Food was poor, no figs with ham, dry bread and hard parmesan cheese were all poor. Drinks were over-priced, and total bill of £60 was poor value ... but ..... the place felt like an old fashioned West End Farce, with waiters dashing here and there, complaints abounding, and characters appearing down stairs, from behind doors, and popping out from behind shelves! We haven't laughed so much for years! Totally unique experience in a brilliant setting with first class service and delicious food! Very nice. A bookshop with a cocktail bar? A well kept secret but once discovered where else would you go on Piccadilly. OFFICIOUS, HIDEOUS, HOSTILE SERVICE WITH THE WAITER LISTING THE NEXT THING TO "RULES AND REGULATIONS" FOR ORDERING SOME SIMPLE TEA. WHAT A DISASTER THAT PLACE HAS BECOME! GO OFF TO FORTNAM AND MASON (ON THE SAME BLOCK) OR ANY OF THE OTHER LOVELY, HOSPITABLE ESTABLISHMENTS NEARBY FOR A NICE, RELAXING EXPERIENCE. THIS PLACE SHOULD CLOSE DUE TO BAD REVIEWS. Limited wine list, but we had great white wine. The staff were all charming and the waiter was delightful. Weird to be in a bookshop, but this is not your average book shop! Very stylish. Cosy and chic, this place is a real hidden gem in the bustle of the city. Great food and cocktails. Lovely surroundings if you're into art books etc. Disappointed at service, initially I wanted a coffee at table whilst I waited for my friend to arrive for our lunch date but was told it was not possible as table was for food only and only once I had actually ordered the food was I allowed coffee, the same for my guest. I understand it was lunch time booking but it wasn't busy, only I and another gentleman in entire bar area so seemed a little unnecessary and inflexible. Food however was delicious, well presented and friendly waitress. I preferred it when it was an open bar area, a lot more relaxed and fun without all the coffee ordering politics! Early evening drinks with friends, no food eaten. Disappointed tea and coffee wasn't available for non-drinking member of the group but otherwise all rather civilised at what can be a boisterous time of year! Stylish albeit quiet bar. This place does not serve food and closes early! It's a nice and cosy corner in the busy Green Park area. If you want to have private conversations but don't have any membership to the private club in the neighbourhood, it's a great choice. I went there for quick work lunch with a friend. The building and all the beautiful books is what initially attracted me when buying a book there. However, I found the service very slow and the restaurant manger rather aloof and not very friendly. I had to approach the bar to ask for butter and again I had to go to the bar to ask for my bill. Such a beautiful place, such a fantastic location. Part of me wants to shout about it from the rooftops, the other part of me wants to keep it a secret so it remains unspoilt by the masses! A delightfully quiet, intimate and elegant place for an early evening cocktail (they closed at 8pm) in the surrounds of some very glamorous art books. We didn't meet for the food - only had olives and cheese - hence the 'fair' rating for it which I had to give on this site (mandatory) but the cocktails were delicious and beautifully made and service was excellent. Thankfully no blaring music to interrupt our conversation - just some light ambient background jazz. A beautiful place to meet (although a little pricey) if you want a romantic or quiet conversation for an hour or two off the bustle of Piccadilly. I will return. Quirky place for tea or coffee, glass of wine or cocktails - and to meet friends in quiet but elegant surroundings. Can't comment on the food except to say that menu limited and pricey for what was on offer. Like a supposedly upmarket version of the love-child of Waterstones and Pret... Really! !